Thinking of putting Freon in your vehicle yourself? Here are a couple of things to think about. It is impossible to determine the correct amount to put in except by evacuating the system, verifying there are no leaks, and recharging with a known weight without having a full set of gauges and an afternoon. 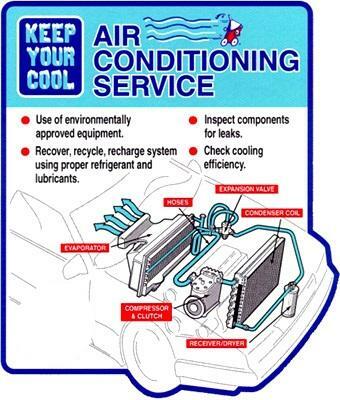 If the Freon is low then there is most likely a leak, which also means you’ve probably lost oil out of the A/C system. If Freon can get out, moisture can get in, which will ruin your A/C. It’s best to let a professional with the right equipment evaluate and recharge your system properly, which will save you money in the long run.